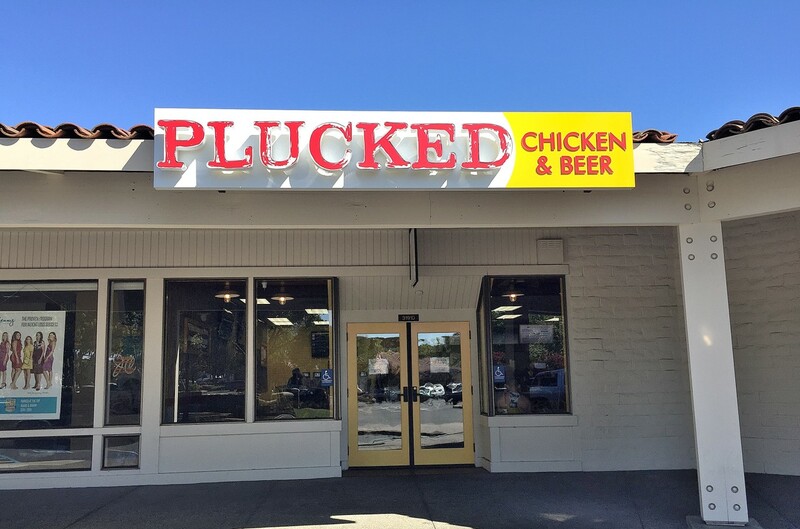 Our July Featured Wine Destination is Plucked Chicken & Beer in the San Francisco East Bay community of San Ramon. Plucked opened for business about a week ago, offered by the same people who brought Sauced BBQ & Spirits to Livermore, Sacramento, Petaluma and Walnut Creek. Plucked is a casual dining destination featuring great chicken sandwiches and salads, plus a wide variety of draft beers and wine. The menu is basic, affordable and extra tasty. Large screen TV’s show sports and there is plenty of seating. Check out the Plucked Chicken & Beer listing in our Wine Destination Directory. 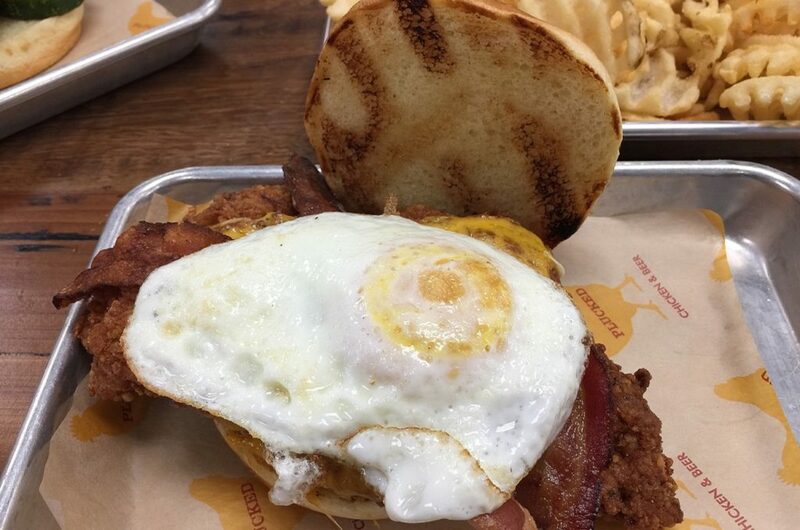 The big guy on the block – The Rooster. Chicken sandwich topped with crisp bacon and eg..
Disclosure: Sauced is partially owned by clients of another business owned by the publishers of Wine Adventure Journal.